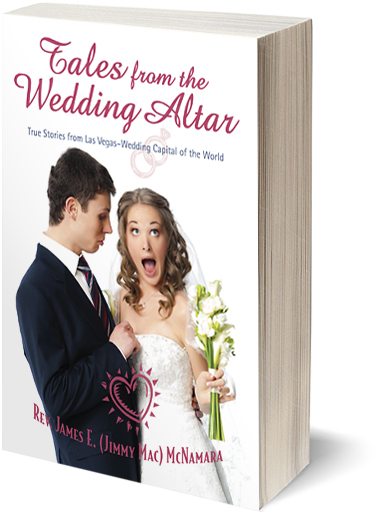 Wedding tales of hilarious things overheard by a Las Vegas minister. James E.”Jimmy Mac” McNamara, an ordained minister performed weddings in Las Vegas ~ The Wedding Capital of the World. 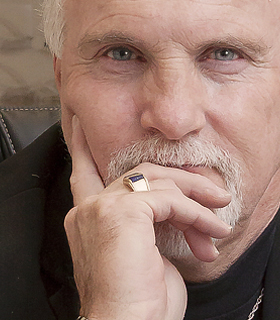 He once had a country band that performed on the Las Vegas Strip under the name of the Brazos River Band. He had a concealed handgun permit and has been dubbed “The Pistol Packin’ Preacher.” He allowed brides and grooms to “let their hair down” and have fun. He just never imagined how much fun they could have until all their private thoughts made their way out of their mouths! He was also pastor of a ministry at an assisted living senior center for the past five years, and along with his wife, Lori, is the co-author of Bringing Religion to the Elderly.